Ahoy from Freedom, CA, our home base since Friday. This appears to be the heart of agricultural CA, with lettuces, strawberries, avocados, grapefruit, and cherries everywhere. Yum! It also makes me thankful for the farmers and agricultural workers who bring us such a delicious bounty. 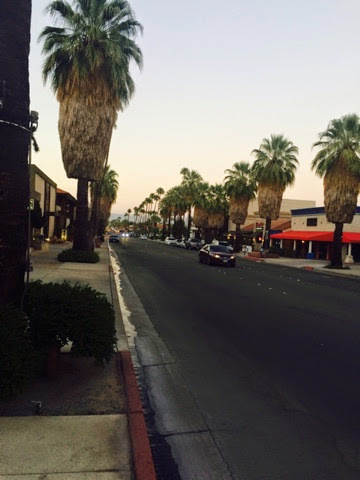 We have been falling in love with the central coast with nearly every city we visit. 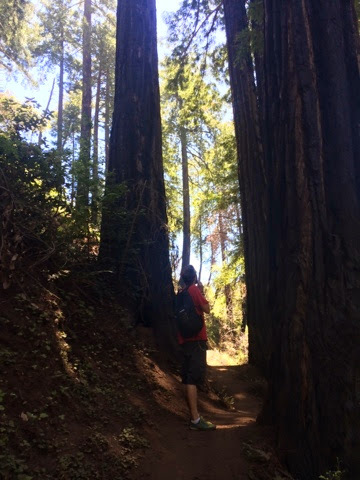 The Pacific ocean wows us over and over, and if you mix in some redwoods or otters we just can't resist. The first city we fell for was Morro Bay, which I discussed in the last post, but definitely deserves another mention. 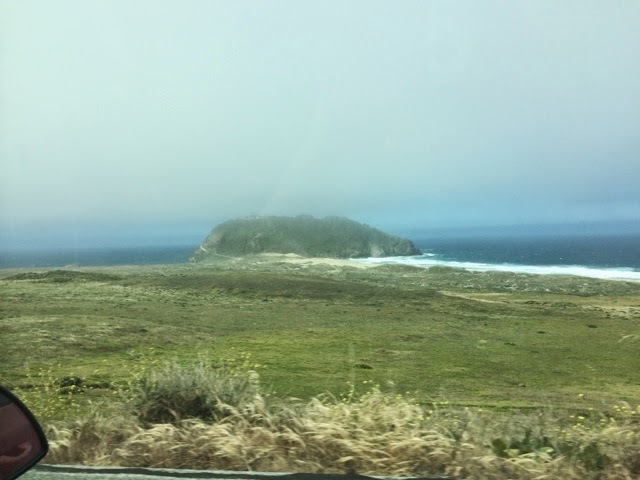 Friday we headed north from Morro Bay, erroneously thinking we had a chance at a coastal campsite without a reservation for Memorial Day weekend. 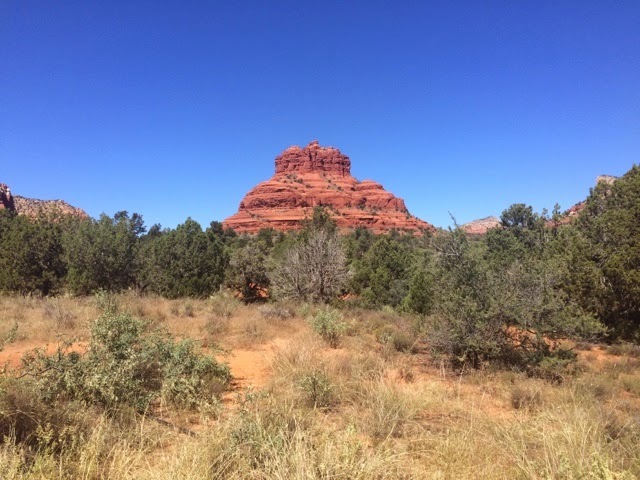 No such luck, but thankfully Ryan found us an overflow site at Pinto Lake near Freedom which has served as our home base for the weekend as it is strategically located in the middle of all the places we wanted to visit at a very reasonable price. 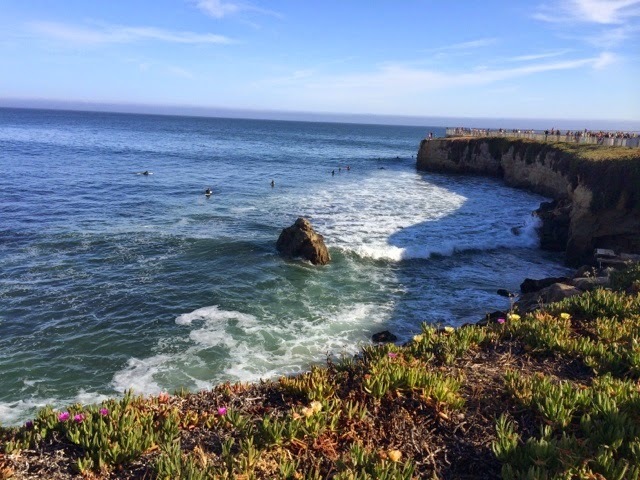 Friday evening we unhitched and headed to Santa Cruz where we strolled the wharf and boardwalk, watched some surfers, and dined on some incredible pie at Pizza My Heart. We wanted to take advantage of the long weekend and used Saturday as a chore day. For the first time in nearly four weeks we did laundry, re-organized our clothing storage, tried to trouble shoot our intermittently working fan, made dinner, and caught up on Game of Thrones. 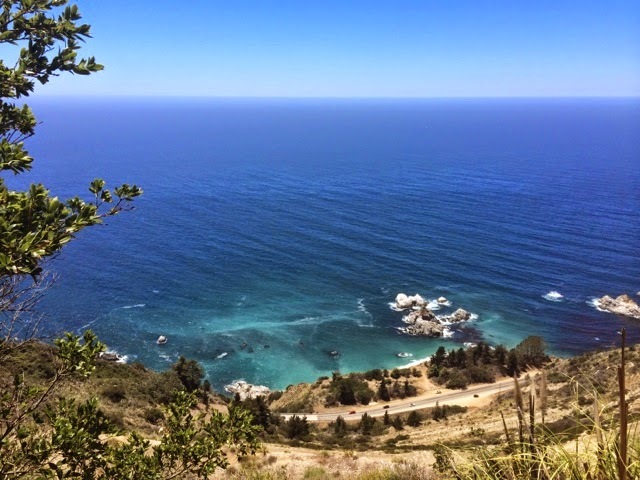 We resumed our touring Sunday morning and headed to Monterey in the morning. 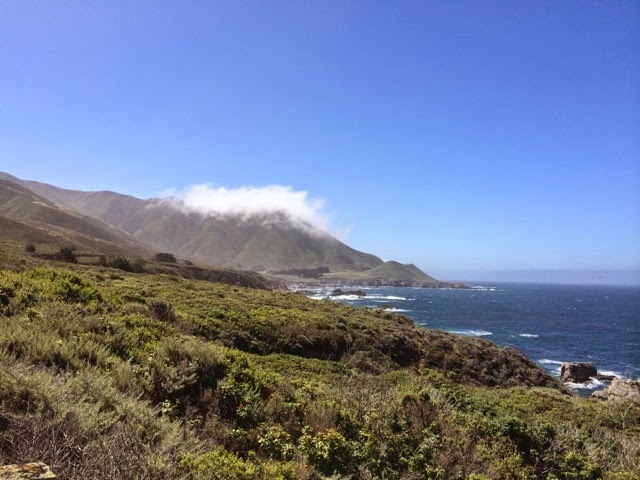 We saw the sites, drove through coastal Carmel and gawked at the fancy homes. 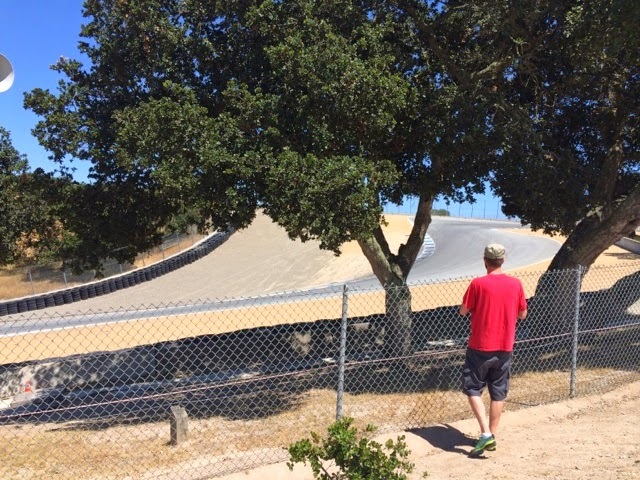 It turns out that Laguna Seca park (Mazda Raceway) is just outside of Monterey, so we checked it out. There is a steep incline into the park and camping area, and from there you can practically drive right onto the track. There were some motorcycles racing so we went up to the corkscrew to watch (this will mean nothing to you unless you're already into racing or if you have Ryan explain how it's just a regular turn except it drops five stories, so it is dubbed the corkscrew and it is a very challenging corner to drive). Next stop: Santa Cruz! Our original plan for Santa Cruz was to finally swim in the ocean. All we wanted to do was swim in the ocean. It was much busier than it had been when we were there on Friday, so we dodged the main crowds and headed to the outskirts of town to try and snag a stretch of sand. Turns out it was pretty chilly and the beach we found parking near was filled with sea debris, so we gave up on the plan to swim. Instead of swimming I got an update to my hairdo and we went for a couple craft beers and ciders. We spoke with the sweetest server and she gave us some great regional advice. After a couple beers we decided we definitely needed pizza again because it's just a fact that beer needs pizza. It was a fun night! 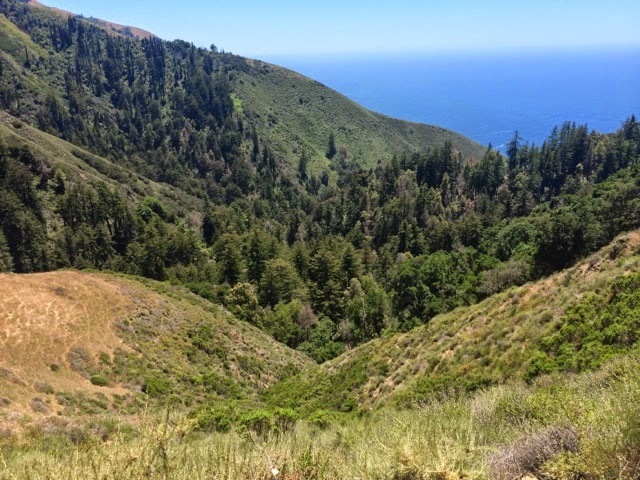 Today has brought us some of the most breathtaking scenery, winding south on Highway 1 to the Big Sur area. 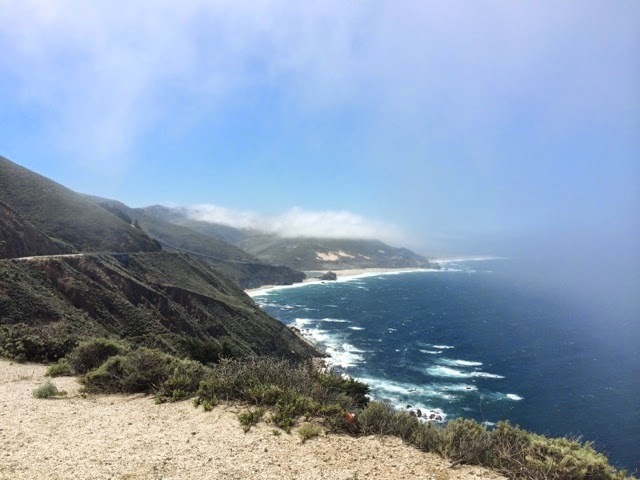 We drove through the clouds and were wowed once again by the Pacific Ocean. 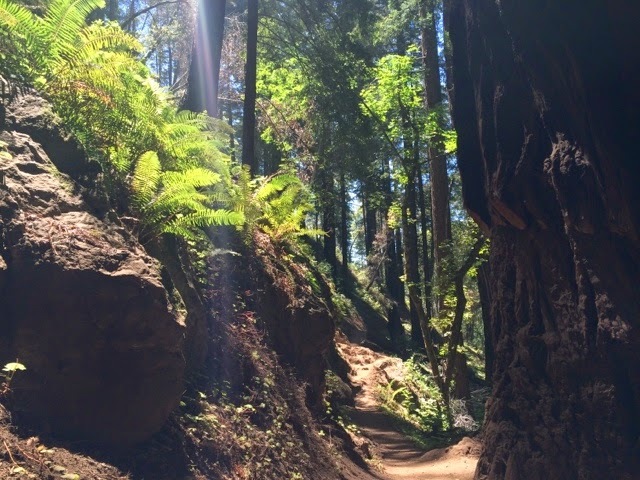 It was yet another surreal moment seeing the redwoods and the cliffs to the sea. 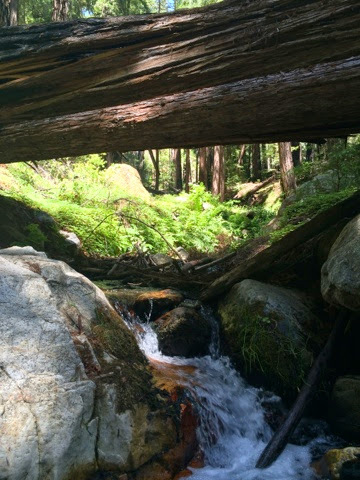 We went to Julia Pfeiffer state park and did a hike that was practically straight up the side of a mountain, but the views of the valleys and ocean from the top was worth it all. 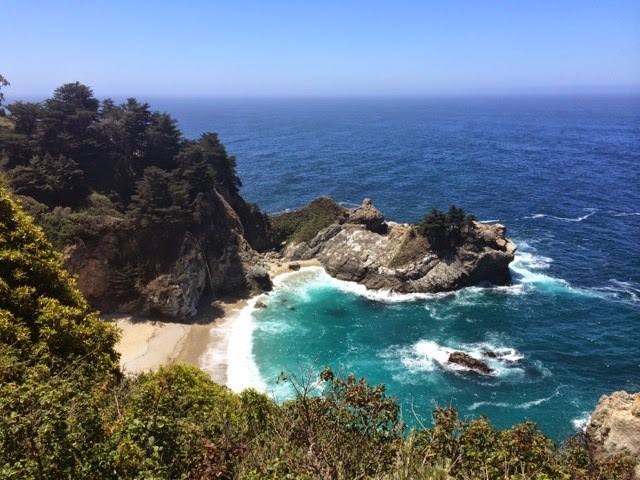 We also saw McWay Falls and much to my disappointment couldn't actually go down to the beach. Something about dangerous cliffs and fines for people caught attempting it. We are now stuck in traffic, heading north with the entire population of the San Francisco Bay. Tomorrow we move on! That is a beautiful part of the the country. 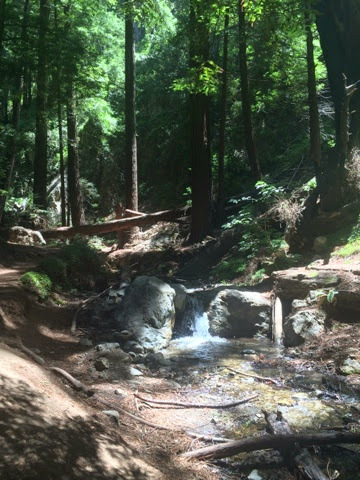 I think you will also like northern California. The Pacific Ocean is always cold.